To break or not to break? 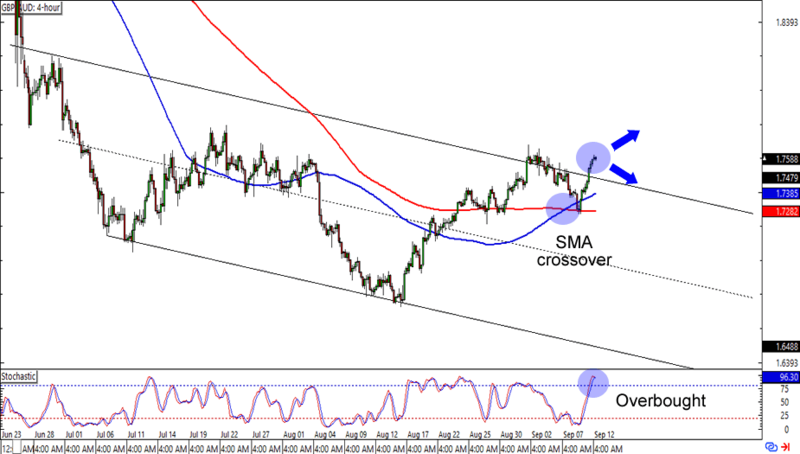 That is the question for GBP/AUD. 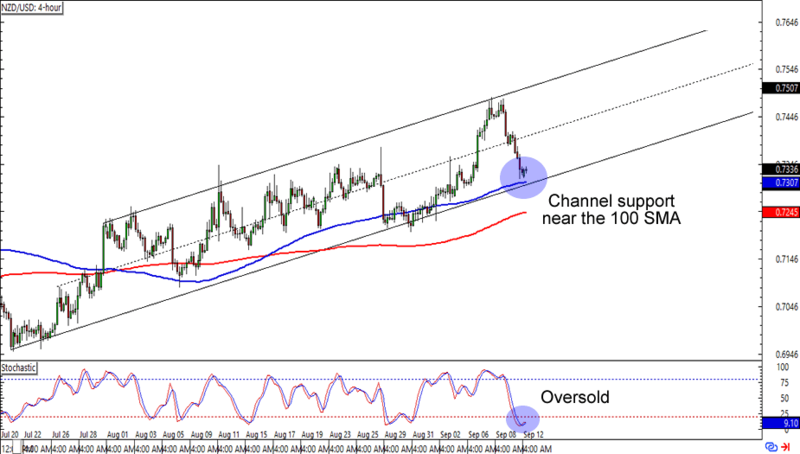 The pair just broke above a descending channel and is now trading just below the 1.7600 mark. On one hand it has the SMA crossover supporting an extended move higher. On the other hand, an overbought stochastic signal is attracting bears like it’s the first meal out of hibernation. Which way will the pair go? A move lower could take it back to the falling channel and 1.7275 area before gaining some momentum. Meanwhile, a break above previous highs could support the start of an uptrend for the pound. Resistance alert! EUR/CAD is testing the 1.4700 major psychological handle, which is right smack at a range resistance on the 4-hour time frame. Oh, and look at stochastic flashing an overbought signal! 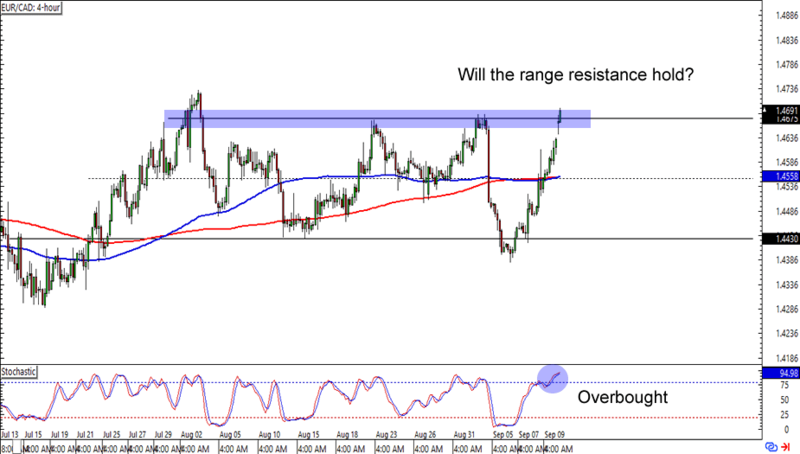 Will the signs lead to a move lower for the euro? A bounce from the level could take the pair to at least the 1.4550 mark near the mid-range and SMA levels before taking a breather. If you think that the euro is about to break higher against the Loonie though, then you might want to check if the breakout has momentum or if you could get a better deal by waiting for a retest of the broken range resistance level. Here’s one for the trend traders out there! NZD/USD is having trouble breaking below the .7300 major psychological handle, which isn’t surprising since it also lines up with the 100 SMA AND rising channel support on the 4-hour time frame. What’s more, stochastic also looks like it’s about to break above the oversold zone! A long trade at current levels could give you a good reward-to-risk ratio especially if you aim for the previous highs. Just make sure you place your stops below said support levels to leave enough room for volatility!